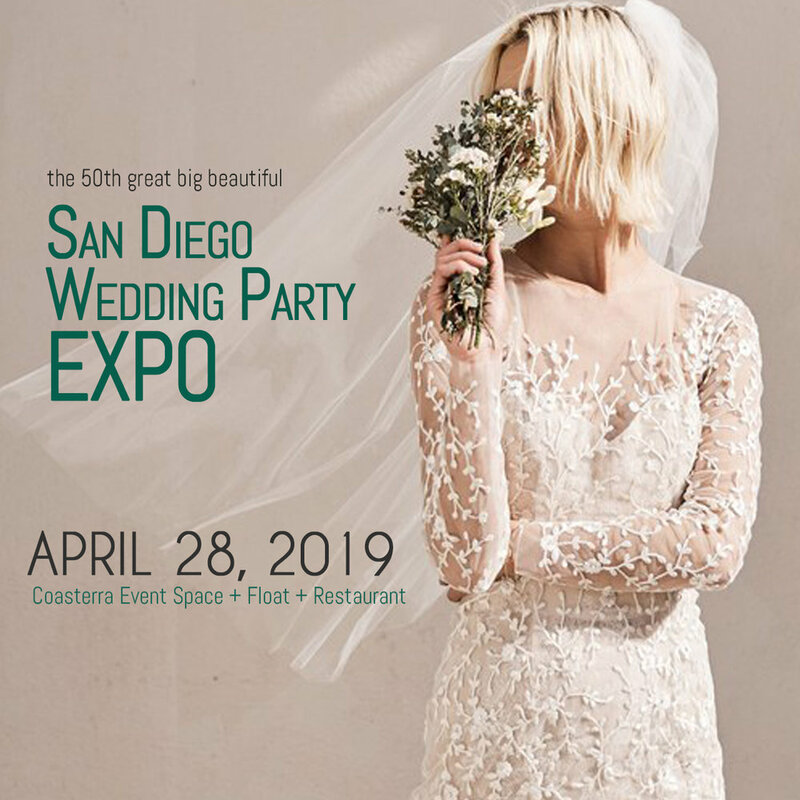 Be sure to find the Studio B Floral Design booth at the November 1 show at The Marriott Marquis San Diego South Tower Marina Ballroom [downtown next to the Convention Center] so you can see how exciting, on-trend wedding florals ought to look! Meet Barbara Aguilar the owner and lead designer of Studio B in person! This talented wedding floral artist is also decorating the Lauren Sharon Vintage Rentals sponsored "California Sophisticate" fashion show staging on the 4th floor with an amazing array of color and style! We won't spoil the surprise by saying more... you'll need to see it person!